This is pretty much a very Sweet Martini. I'm not sure it deserved a different name except that there is the addition of 1/4 teaspoon of triple sec (which is a way of adding sweet orange bitters to a Sweet Martini). Vigilant gin is so bracing in a Martini, so a sweeter variation did the spirit justice. 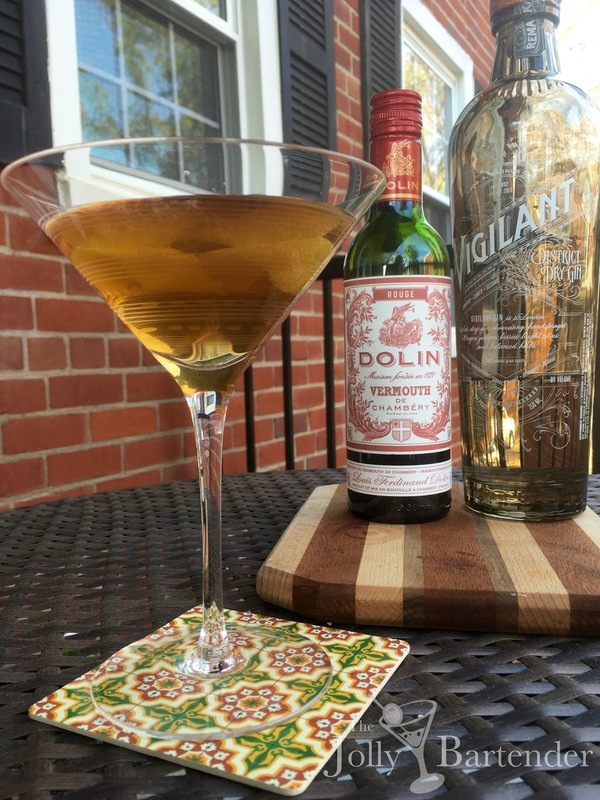 You can taste the tarragon, grapefruit, and juniper of the gin behind the soft caramel sweetness of Dolin. Since I rarely have the same drink twice anymore, a Martini variation like this one was nice to return to. Combine all liquid ingredients in a shaker with ice. Shake and strain into a chilled cocktail glass. Squeeze the twist and drop it in.